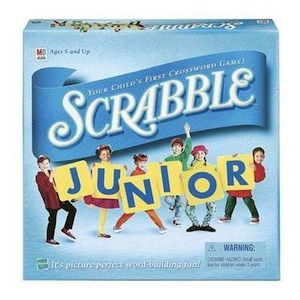 Scrabble fun for younger kids as they match picture words with letter tiles. Older players can play the reverse side of the board to form words. Ages 5-8.